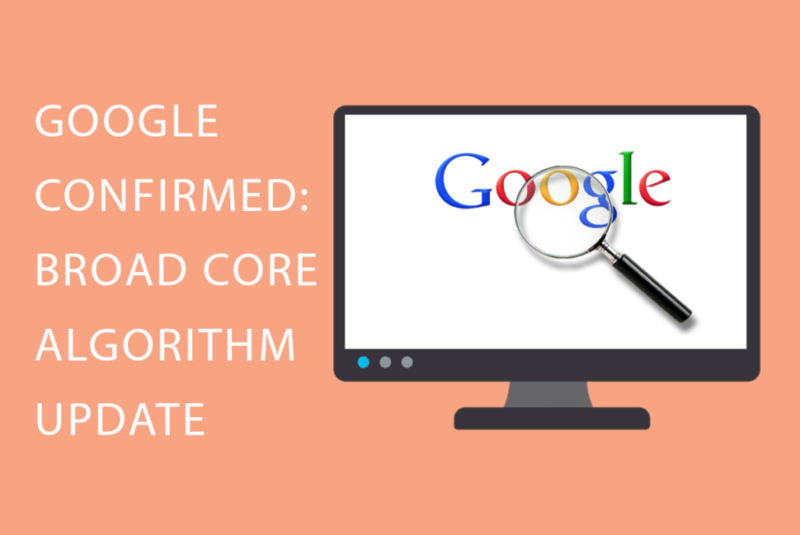 Google has officially confirmed that a core search algorithm update took place in April. The announcement comes shortly after rumours of an update arose when many sites began reporting significant ranking shifts, both positive and negative. 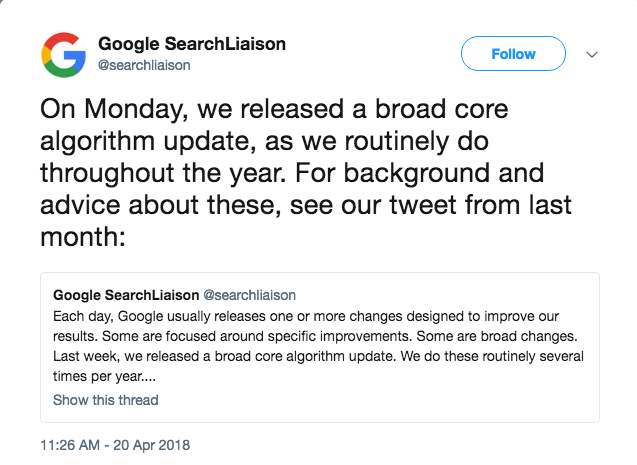 Via their ‘public liaison of search’ on Twitter, Google released a “broad core algorithm update”. According to the tweets, Google conducts these core algorithm updates on a routine basis several times throughout the year, and that one had in fact been rolled out recently. They explained that while some sites “may note drops and gains” in rankings, there is nothing specific that site owners can do to turn these changes around. Google stated that while there is no “fix” for pages that have been negatively affected by this update, it is still as important as ever to continue working on overall site quality and building “great content”. The announcement notes that with continuous efforts to improve the quality of your site and its content, your content may rise relative to other pages upon the next update. What is a Broad Core Algorithm Update? Generally, core algorithm updates are not announced by Google – this is because they are happening almost every day. This update is different, it only happens on a couple of occasions throughout the year, hence why they decided to provide an official announcing statement. The update was focused on bettering search results for users. There is no specific issue with the sites with lost rankings. There is no “fix” for sites that lost rankings. The update focused on content, but not necessarily quality. Based on this information, we’re able to confidently assume that the purpose of this update is to improve the accuracy of search query results. It is not an update targeting low-quality web pages, rather an algorithm working to identify content which best aligns with user searches. Google is trying to better understand user intent and improve search query results. It is not about targeting low-quality web pages, it is about user intent and understanding content. There is nothing that can be directly done to work in favour of this update, other than continuing to improve the performance of your site and build quality content. To put it simply, focus on learning about the needs of your customers and building content that accurately addresses those needs. Need some help? Get in touch today!